Irish genealogy is a notoriously tough nut to crack, but thanks to a huge set of records we've acquired, things have gotten a bit easier. Many of the 70 million people with Irish heritage worldwide have struggled to find their ancestors in Ireland because many important records have been destroyed. In 1922, a fire burned down the Public Record Office in Ireland, destroying many of the essential 19th century censuses that we would use to locate our Irish ancestors. 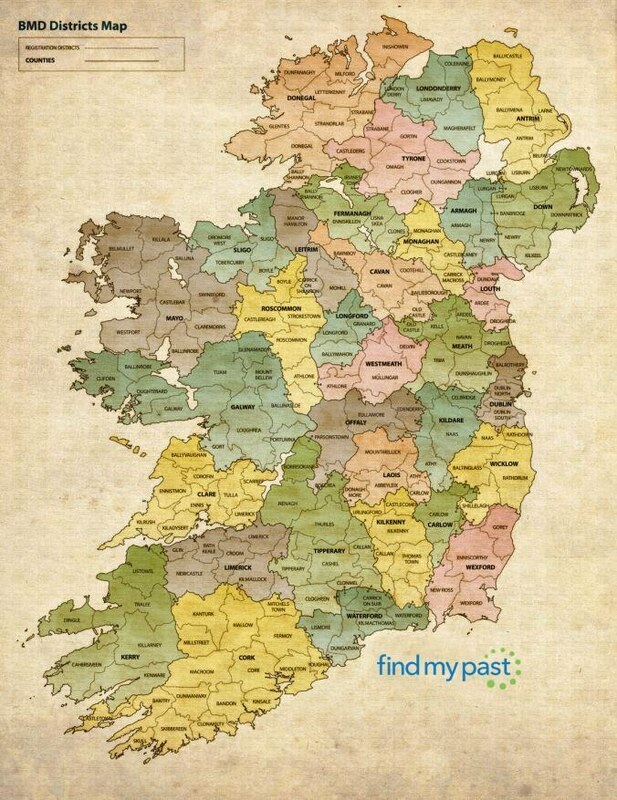 But now that we have released a fully-searchable database of local parish records from all 32 counties in Ireland, there is hope. 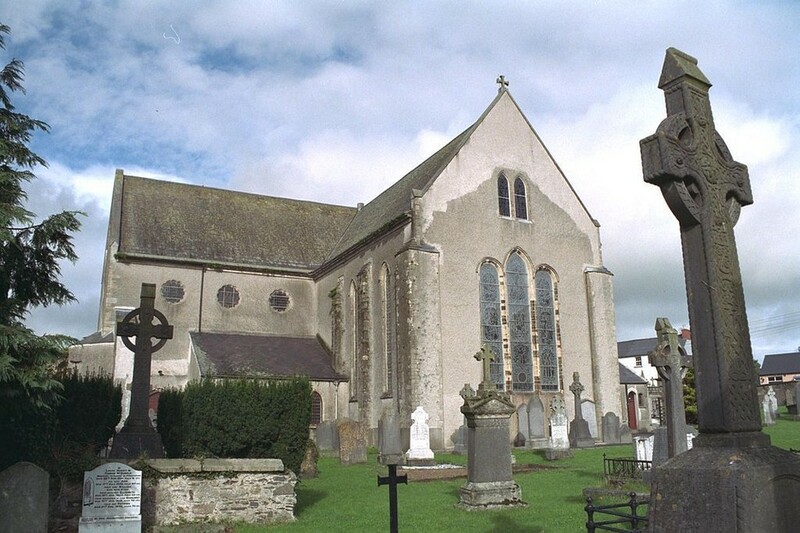 These local parishes offer some of the only remaining evidence of our ancestors who lived in Ireland in the 19th century. We feel that these records are so important to Irish genealogy that we've decided to make them free forever. 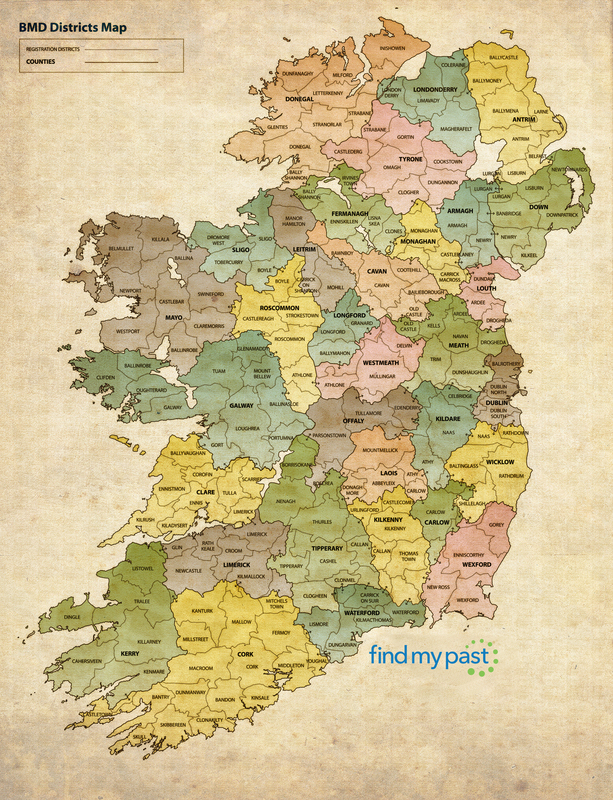 The best place to begin looking for your ancestors from Ireland is in the parish records. From there, you can use that information to explore the rest of our Irish records - the most comprehensive collection online. 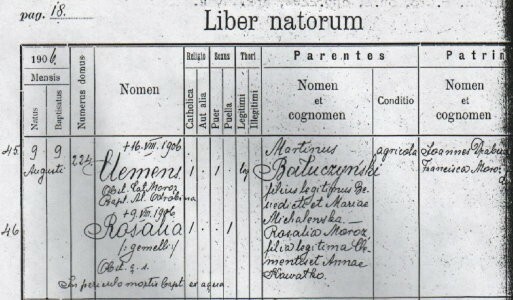 Once you have found your family's parish and all associated records, it's time to explore our other Irish records - with this information, you'll be able to look at land records, court sessions, census survivals and more to further research your family history. The key to doing this is to cross-reference the parish where your family was found with their Civil Registration District. Many of our other records don't have anything to do with Catholic parishes, and locations are often categorized by these Civil Registration Districts instead. As you can see, there are often several Civil Registration Districts within one county. Knowing the district your family lived in will greatly help you locate more records on them. Many people are often confident that their family came from a certain parish or county of Ireland. While this absolutely can be the case, that doesn't mean the whole family stayed put for the entire century. Though many Irish families remained relatively local, don't discount the possibility that your family spent some time in a neighbouring parish for work or other reasons. Marriages especially could be recorded at different parish. So make sure you don't limit your search to the most obvious parish! If you're having difficulty finding your ancestors in the records, and your last name includes a prefix like O' or Mc' then try a search without the prefix. It's possible your family wound up changing their name last name in order to anglicize it and avoid anti-Catholic persecution, only to re-adopt it later. It wasn't until the early 19th century that anti-Catholic laws began to be relaxed, and although many families eventually re-adopted their Irish prefixes, it's possible that your family went through much of the 19th century without them. Until the 1960's, Latin was the official language of the Roman Catholic Church, so you're going to see some Latin on these records. Even many of the names written in the record were Latinised. For instance, Patrick may show up as Patricius. We'll soon have a Latin dictionary applied to the search function for these records, but until then there is an easy trick to get around this. Use a wildcard search by including a * symbol after the root of the name - for instance if you're searching for Patrick, enter the name as Pat* and you'll get the results you're looking for. You may sometimes see parishes that turn up under two counties. These aren't duplicate parishes - some parishes actually span two counties, and in our records they will show up on queries for both counties. Graignamanagh, for instance, goes across Carlow and Kilkenny, so the county in our database is recorded under both Carlow and Kilkenny counties. Now is the time to make a groundbreaking discovery and get to know your Irish ancestors in details never before possible.